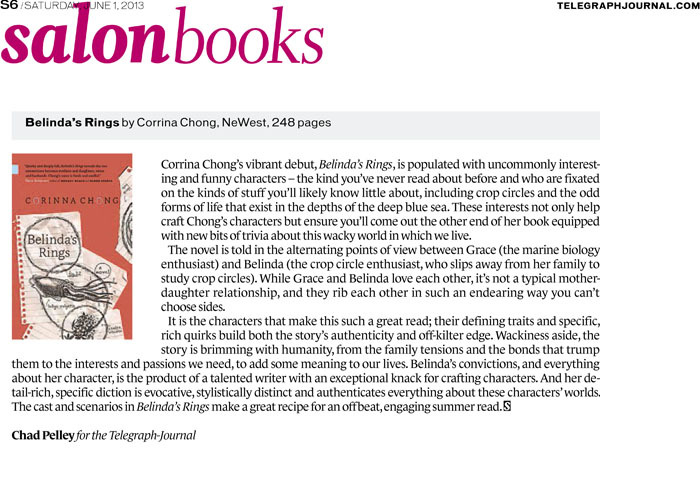 Belinda's Rings by Corinna Chong is one of my favourite recent reads [...]. The tension between mother and daughter is [...] just right, and I adored Grace's pluck. Chong's writing is funny, controlled, and she makes Grace totally endearing.